I thought this might be a good way to end the Teacher's Log for this semester and the last post on the blog for 2011. It was a poem I sent to all my students at the end of the semester who are in my studio at New England Conservatory, New England Conservatory Prep Division, The Boston Conservatory and Longy School of Music. I hope there is something in it for everyone. I wish you all a Happy, Healthy and Meaningful New Year! Waiting for the moment you say "I do"
Drop your fear, it's all in your head! It needs you.. a lot.. more than you know.. I'm on your side, always hoping for your best! In a conversation with someone recently, they told me they just want to do what's best for the students. I immediately thought to myself. " What is BEST for the students? A good question to ask that takes some probing to come up with some insightful answers. The school needs to provide an ecology which would best foster this development. But if it only has a 'manufacturing plant' mentality, then the development of the student- person, is going to be short changed and possibly suffer. There is not a 'generic' student. What is useful for one student is not useful for others. This is where skill in teaching comes in. Not all freshman are the same, neither are all graduate students the same. Attention to the individual is important and vital in my view. If someone is taking a class on American History, should the class be run by 5 teachers? This is a question I have about instrument classes. 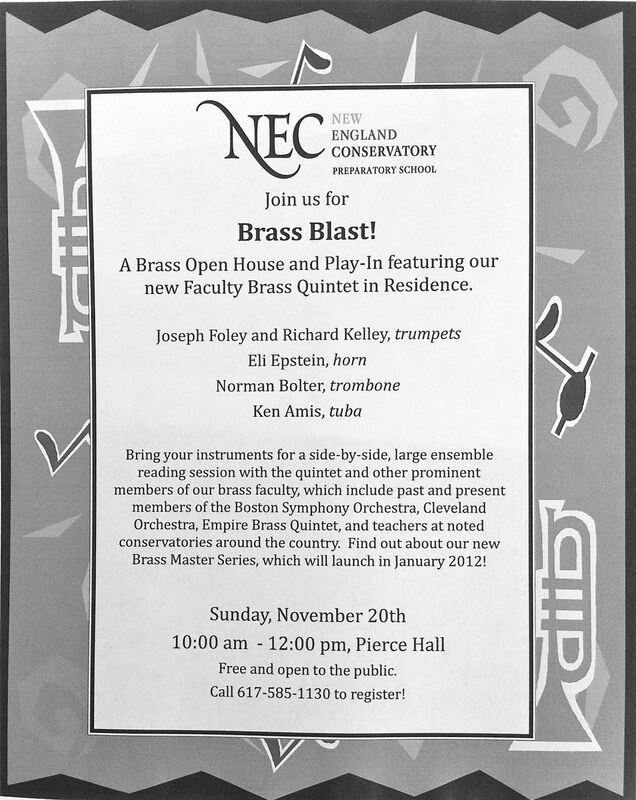 Do you have all the faculty contribute to the instrument class? Are tons of views good all the time? Is one view good for 6 years? It depends on certain factors. Here are a few on the private studio level. 1. Is the student and the teacher in a relationship that grows deeper on a continuing basis with noticeable quality in the students work? If so, why should the student change teachers after 2 years or 4 years if the process is really connective and continues to bear fruit? 2. If the student and teacher really cannot get along and after a period of a semester not come to any terms of agreement or mutual understanding, it seems the best thing might be for both of them to part peacefully. Private lessons are very personal and close circumstances that can become quite toxic if things get to far out of balance in a negative direction. 3. A student can be exposed to many ideas and viewpoints at school and the city they are in. If the student is really taking an active role in their own development and not just waiting for the teacher to say do this or that, they will try things, go to other workshops, concerts and master classes and naturally incorporate things into their own work. 4. I think it is important for some classes to have one teacher with guests who come in every now and then. This gives a continuity and structure to the class. 5. Private studio teachers at anytime, should feel free to give a studio class to their own students. They should not worry if the other students of the same instrument in the school are not included. A student can learn from various teachers that are not even playing their own instrument. Learning is very dependent on the student's own curiosity, need and application of what they are given and/or observing. I notice many students going from teacher to teacher and not making lots of progress because they are not sticking to something and seeing it through. When they get bored or run into a sticky point, some like to run to a 'new' situation for the 'kick' or' high' that gives them in the beginning of doing something different. Meanwhile avoiding the very things that they probably need to work on including their attitude. So what is BEST for the students? To be given an atmosphere and ecology that provides them the opportunity to take responsibility for their actions with excellent guidance, expertise and humanity from caring teachers. A look at the word teacher is interesting for it has the word 'heart' in it and well as the word 'care.' 'The care' is a full anagram of the word teacher. It also needs to be said that teachers are humans too who need to be treated well. Maybe our schools need to spend more time helping people become good teachers? Just because someone has great skill and/or knowledge and a high profile job, does not mean they are good with people or really even care about the well being of a person. This kind of teacher needs to have students that are very mentally tough that can withstand a certain level of rough treatment. If the student has that nature and knowledge to get what they can from such a teacher, then it possibly will be productive for them. In the end, it is one big process that students and teachers are in that goes way beyond learning a skill. The circumstances in a school can help one to learn about oneself, others and how to deal with different kinds of situations. Sometimes rough situations can push a person into greater depth and challenge how much they really want to pursue their chosen work no matter what the odds are. Yup. It has been 4 years since my last concert as a member of the Boston Symphony and Boston Pops Orchestras. My last concert was a Christmas Pops concert. I really did love playing principal trombone in the Pops for so many years. There was a certain freedom playing Pops as well as being very challenging. I love the orchestral literature. It was a wonderful opportunity to play in those great orchestras. Times have changed. 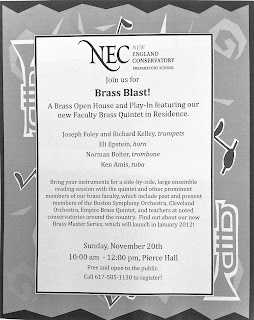 The whole brass section is totally different with new players and style of playing from when I joined. When I joined it was near the tail end of when the character and uniqueness of a persons playing was really important as a musical component in the ensemble. In a way, it was filled with very individual players. Maybe it wasn't a 'perfect' blend, but wow, when it was happening it was really potent!! My life is busier in a sense now but without the 'weight' of the orchestra. I choose to play in other kinds of musical ecologies at this point in time. There is no doubt in my mind that different orchestras have different ecologies. But hearing so much of how musicians are having physical, mental and emotional tension from the job, and oftentimes have to resort to taking drugs to ease the pain of nerves, saddens me. This of course was happening when I was in the orchestra. If the ecology was different, and the humanity and going for the spirit of the music was the most important thing, there would be no need for this stress and drug taking. The High Art of music making needs an environment that is invitational to the essence of the music and the soul of the people who are being instrumental for it's appearance. I can only hope, pray and do what I can in my own way, that the values and deeper meaning of music and human life can be the most up-front feature and this other stuff just melt away in the brightness of that TRUTH. Discernment is an interesting property. This property of discernment with most people develops with age. Sometimes younger people can have quite a developed sense of differences between concepts, styles and approaches. Other people younger or older, have this concept of everything is equal or valid. Well, in my experiences and looking at things, there are VERY CLEAR DISTINCTIONS in concepts, styles and approaches. Sometimes subtle differences can be the most profound. Oftentimes if something feels good or is easy and comfortable, it can be viewed as more favorable. The real question is, is 'real' life comfortable and easy all the time? There is a difference between stupid sacrifice and going for something you really believe in all the way, blood sweat and tears, if it is worthy. I would hope that having an atmosphere that is clean , respectful and allowing, can be the platform for the real intense work to have a place to happen where it is supported. Making something happen is not always easy. Helping people to grow is not always fun. The attainment of our goals is only done through Love, Dedication, Passion, Effort and continued reevaluating in an upfront, allowing, but very honest way. A great mentor of mine said, "Be your own person, but love the truth." That is a real process and a journey, to me totally worth pursuing and not always easy or comfortable. What do I consider in a grade? A combination of work ethic, love of the territory (passion), talent activated and potential not realized, attitude, progress or lack there of. The other consideration I wrestle with at times is, do I compare a student to all the ones I have had to make the grade? That would lower a lot of peoples grades because I have had some pretty extraordinary students! So now we get into levels. If someone is a freshman at a music school like a conservatory, (I know this is general), and they have a certain goal in mind, the question, is are they working at their full or close to it capacity to get that to happen? Or, what about a senior that has a terrific potential but really has not significantly improved? What about the student that maybe wasn't given a terrific first stage (the potency of the natural talent) but has worked extremely hard consistently throughout their schooling and has made very good improvement but still is 'behind' in certain areas that will hold them back in a performance career? So the subject matter can get very complex at times, but for me, it does come down to the person owning up to the fact that they are the ones that have to work for it. Not to please me, their parents or anybody else. But for themselves because they are moved to do so from the core of themselves. Even this level has several variations to it, but effort + talent + attitude + work achieved = grade, in most cases. Discipline. The crock and the flail. The yin and the yang. The allowance and the resistance. The balancing of certain apparent opposites create a gate which will cause an environment and ecology for the life to thrive in, be challenged in towards a specific target, or one that will foster anything goes without a lot of development, or one that can be harmful and choking of the life. There are also many that can form an atmosphere of varying degrees and combinations of the ones already mentioned. When a student is singled out because of some disruptive behavior, there is a combination of feelings that happen in the ecology. If the other students are not clear why the person is being singled out, this causes confusion and uneasiness. If it is clear why the person is being singled out and reprimanded, there can be a sense of relief in the other students because they are irritated with the disruptions themselves. These are just a couple of scenarios. To have an ecology that wants growth and development towards a specific goal, there are balances to consider. How should one behave? In the case of the student, is making regular smarty pants remarks useful? I should say not. For when remarks diffuse and make a mockery of very important points, it infects the living organism that the ecology is. The ecology is only as strong as the person who is in charge is. But what can be stronger, is an ecology that is maintained by mutual agreement from everybody involved. In this case, students and teacher. It is important to have humanity and allowance for all sorts of things. But it is vital for a teacher to be observant of patterns that cause to disrupt for the sake of disrupting whether it is conscious or not in the student. For any environment to sustain a level of cohesiveness and provide the optimum for opportunity, inspiration and growth, basic standards are needed. The teacher needs to uphold them. Not everyone, meaning the students in this case, will be able to understand all things if they have not been in serious pursuit for a prolonged period of time and have had the chance to get experience in dealing with many situations that arise. This is where the vital A.R.T. of the student comes in which is Appreciation, Respect and Trust. The A.R T. of the teacher in this case is Accomplished, Rsponsible, Tacticis. It is so very interesting and telling how different states of attention affect ensemble and rhythm. It is so amazing to me how one flick of the mind turned in another direction of attention can alter EVERYTHING. I had a group shift their attention to focus on just one of the players in the group. EVERYTHING at least on a technical level was BETTER. Before this switch happened there was unsynchronized starts, pitch was not lined up, blend was jagged. This ALL changed in a big way. The one adjustment in focus altered the whole thing. I LOVE it! I have done these kind of things hundreds of times but it never seizes to amaze me that it works so incredibly well. This change of attention to one player, ( you have to find the 'right' player for people to focus on or the reverse can happen) is an excellent way to 'create' better ensemble especially if there are issues with concentration or scattered thinking due to attempting to process too much. This makes the mind singular yet has multiple affects. Just like a magnet drawing all the individual iron shavings to itself. Wow! I hope the students remember and put to use some of these techniques and methods and find where else they might apply. It is so interesting when asking a small chamber group to think of certain things and to see what generally happens to the music and of course them. When asking a group to blend, the dynamic gets softer. When asking a group to listen to pitch, the music gets very dry and tentative. When asking a group to play with a resonant sound, the dynamic gets louder. When asking a group to play with better time, articulation gets cleaner and so does the group beginnings of each note. When asking a group to focus on pitch and blend, the tempo gets slower. These are some things I've noticed for a long time and it says something about what happens to the person when they focus on individual aspects or 2 at a time. It is really says something about group and individual tendencies. When asked then to just focus on the spirit of the music, the technique in groups that do not have a clearly defined musical agreement on what the piece is about, starts to fall apart. I'm going to experiment with these things more. Starting the day with a warm-up is a means of connecting you to your instrument mentally, emotionally and physically. It is just not a physical thing. Rehearsals and coachings also need a warm-up or tuning time, (which is just not about pitch!) so people can acclimate to the environment that is generated by everyone in that rehearsal. That atmosphere can be so dispersed because by majority people come in unfocused to the task. They are offset to what the task calls for. Warming-up the individual and the group is vital to be able to work together in shared purpose. On another note, it takes so much more effort of the 'right' kind to accomplish something at a higher standard than what most students are aware of. I feel my job as a coach and teacher is to help bring awareness to that point. Air-support is one great example. AIR-SUPPORT MEANS ACTIVELY ENGAGING SOMETHING WHICH IS INVOLUNTARY INTO A VOLUNTARY DELIBERATE ACTION. (Breathing is involuntary and brass playing is voluntary). That takes EFFORT. Effort of the right kind. This can only come through practice, meaning constant, regular, thoughtful, attentive work. Even when we have some accomplishment and our efforts are closer to the 'right' kind, (meaning our automatic systems are filled mostly with habits that are efficient, and balanced in their mechanics), we still can't totally go to sleep at the wheel. This is another great thing about warming-up, it keeps us 'tuned' so to speak to what we are doing. If warming -up is regular, we can tell when things need adjustment. It seems at times because of all there is to learn, retain and juggle, students can loose track of what they are aiming for. When I am coaching my groups, I always try to assess afterwards if I was too demanding. My focus is on what it takes to get the musical results, which does in my mind, automatically include the basics of ensemble playing. But each person has to be at full and that is where oftentimes the efforts fall short. If the standards in the practice room were higher, then maybe the attitude of finer standards would appear in the ensemble playing as well. Because focus and holding to the standard would have been 'practiced.' The greater efforts would be a regular feature. The great juggling act of pitch, rhythm, articulation, breathing, tone, blending, listening, concentration and last but not least...the SPIRIT of the music! My wife Carol has a fantastic saying that "Music is just the wrapping paper for the essence inside it," that magic something that is the life of the music, it's spirit. Sometimes people spend so much time on the basic mechanics of playing they loose track of the spirit of the music or actually don't give it much thought. It can become an empty, pretty, shinny container. In a coaching today, I listened to the terms the players were using to describe how things were going coming along in what they were playing. All about the ensemble aspect. In fact, that is all they were talking about. When they played, it sounded more spirited then how they were talking about it. However I brought up some points about terminology. Talking about chord changes, leading, being an 'ensemble' player as opposed to 'leading' a section was some of how they were speaking. Perfectly fine but I find that language limiting for me and it does not accurately translate what is going on to me. But they all understood what they were saying. I put some thoughts in for them to think about. Is there any part in a piece of music which is really not important? My answer is NO. All parts are equally important in their role. For example, if there is a quartet, each person is 25%, and they need to play their role, part, at a full 100% no matter what that role or part is. Each voice is a vital living sonic membrane of the group organism. Sometimes you might play the role of the brain, or kidney and bones. All vital to the well being and functioning of the musical body. The music and the technique come together as one living breathing life. But if there is only technical and mechanical considerations and language, will that summon the spirit of the music to inhabit that body of technique? The answer again is NO. The sentiment of the players and their committed search for the meaning of the piece will summon the essence. Otherwise, there will only be nice wrapping paper. A teacher's job has complexities. A private studio teacher can have several faces to the student. I am interested in the person finding their way in the field. I am also interested in the person as a human. But I am not a trained psychologist like my wife, Dr. Carol Viera, who is able to deal with both the musical and human aspects at many different levels. However, I do try to deal with certain basic things, if I see it is within my ability and not go beyond that. It can be a fine line! But, if there is real care and sensitivity involved, the right course of action has a better chance of appearing. I think it is important that the trust is key in the relationship. It is also a nice added touch if student and teacher happen to like each other as people. That does not mean students and teachers have to be friends as such but can have a warm interaction with respect towards one another. Depending how big the age gap gets, it can feel more like parent-offspring relations in a way. When I started teaching at the college level, the BIGGEST gap between a student and myself was 2 years or so. That is basically the same age and it was easy to become actual friends and hang out together. Now with incoming freshman it is 38 years. BIG DIFFERENCE! That does not make all the relationships the same because you are dealing with unique people and chemistry. When the music really gets happening or there is a strong connection and flow between student and teacher in the territory being made, any age gap disappears into the shared experience. All become ageless. What is the difference between a coach and a private lesson teacher? Is there one? Should there be one? Can a good coach not be as good at teaching in a private lesson setting? Can a good private teacher not be as good when coaching a group? I do think there is a difference in the two. They are different functions and require their own set of skills. Some private lesson teachers have not been in a 'serious' (meaning long term playing, working, performing and/or recording together) chamber music situation to know the ins and outs of the circumstance. Some private lesson teachers might not warm to working with groups for whatever reasons. Coaching is dealing with a group entity. Private lesson teaching is dealing with a person with issues no matter how small or big they are. There are similarities of course in these functions but they are certainly not the same. The group or individual student needs to trust the teacher or coach. The group or the individual student needs to practice on their own and take up what the teacher or coach suggests. A private lesson is a more intimate close range circumstance. However coaching can get pretty close and touchy because of the factor of 'public' exposure or one member being singled out in front of the others. This needs lots of care on the coach's part. One of the jobs of a coach is to act as a unifying agent or magnet when the group is separating from its intactness. This of course should only be temporary. Unlike an orchestra when all the rehearsals are with a conductor, the chamber group rehearses on their own. This is a real significant difference. The chamber group needs to develop a certain kind of relationship and understanding with each other to be able to communicate and stay on task. The coach needs to be able to spot where the weaknesses are in the group dynamics and make suggestions, offer exercises and/or give techniques for them to work on. In either scenario, it is a duet between the teacher and student or the coach and the group. Both of these relationships call for agreements, understandings and open communication that is held together by worked out standards and criteria. Taking time with a student who is not at the level of the majority of the others in an ensemble is important for a couple of reasons. First, to help the player gain confidence and get positive feedback from the others. Secondly, to build tolerance and patience in the rest of the players. Depending on the situation, the player who is having trouble keeping up because of not being as advanced as the other players could get more out of being with others closer to their own level. Especially if it is creating a lot of stress on them and the rest of the group is getting very frustrated. This can happen more easily in a larger group such as a band or a large like instrument ensemble where there are lots of people playing the same part. If the students are keen and the teacher or conductor has skill working with people, there is an opportunity to observe and learn what can be done in those situations where someone is struggling. Now, what if the reason for the person struggling is unpreparedness? How the coach, conductor or teacher deals with that is also a good educational experience for the other students. If a person really is not taking the time to do their work, how much allowance should the teacher have? What is the breaking point? I am starting to rethink this in my own teaching. I can have a huge allowance but is that always useful? I think not. But, when should a person (student) realize that their development is up to them? I would say in general terms, the earlier the better! At the college level the allowance does shrink even for me. But I always am examining how I can broaden my perceptions. That is why it is very important for me to understand what the person's reasons are for wanting a career in music. Plus, what do they want and how much are they willing to work for what they say they want. I realized when teaching at a few state universities the goals were different (from conservatory students) in terms of how much a student really wants to improve on their instrument. Now that is generally speaking of course. Some end up being terrific performers on their instruments. Many of the students I have taught at the state university level were interested in teaching/conducting high school, middle school or elementary school bands. I would encourage these students to practice a bit more and push themselves so they even have a better understanding of what it takes to advance. This will also help them deal with playing situations and challenges they will come across with their students because of how they learned to deal with their own issues. The more a person keeps going regardless of the ups and down they will encounter, the more they can see and understand others because of what it took for them to get to the next stage in the process of their growth. I really believe that if a student takes up a couple of things from a class of mine or a lesson and actually remembers to work on them, those things will yield results. Practice is a form of either conscious, semiconscious or unconscious repetitive acts which cause a habit to be formed in our automatic systems. Practice in this case really means repetition of an action or thought. These repeated acts can form and govern our behavior. In seeing this, one eventually can see the importance of conscious, deliberate planning in practice sessions. (And of course in the rest of life). Much of what I say in lessons, coachings or classes, is trying to assist the person in becoming more aware of what they do at the point. Not just in playing mechanics but in attitudes and judgements. This is as important as any technical portion of a practice session because of how it can influence the whole session. I gave an example today of the potency of a person's focus on the first week of a new job. Then I brought up the thought that if everyone focused like that before coming to class and during class, how the difference in quality, attentiveness and progress would jump exponentially. If that was the only nugget they put into practice from what I say all year, it would be huge. Especially if it were used in their own practice rooms. To be able to listen is certainly one of the arts a teacher needs to have or develop. Not just in hearing someone play, but listening to them speak about themselves and their circumstances. A question I ask myself is, "How much is too much information for someone to absorb?" Again, in general terms, it depends on the individual. Some people seem like they can absorb a lot or rather take a lot coming at them. That doesn't mean they can utilize, apply or even remember what was said. Others can take a little bit and really work with that bit and make it their own. Some students in the exuberance of wanting to do their best and really go for it, can swamp themselves with unrealistic expectations and end up drowning themselves in a sea of trying to do too much at one time. This is where having a plan and a couple of goals at one time can aide in keeping the student on task and productive. I've seen some students recently discover the meaning of the saying, "go slow to go fast." Or the saying, "a journey of a thousand miles starts with the first step." A step at a time with a goal in mind. Hey, that just came to me, I like that. It has a flow that might be easy for people to remember. A step at a time with a goal in mind. In listening to students play chamber music, it is obvious when things are not in sync. Not only in rhythm, pitch or starting and ending together, but in agreement of what the music is about. Often times people just need to play the music a lot with their group to even get a feel for the music and then have ideas come as each person gets to know the piece. There certainly is a period I call the "getting to know you, getting to know all about you" ( a Rogers and Hammerstein song from the play The King and I) that is like dating the piece. Not only the piece, but a new chamber group needs to get to know each other at least on the playing and conceptual level. This of course is just not a student issue! The Art of the Student is in a sense similar to the Art of the Teacher. Their needs to be a balance between having Allowance to experiment and find things coupled with a Resistance to drifting and not sticking to something. The balance of these two gates will either open or close the possibility for Transference of greater perception, knowledge and ability. What to do when students don't come in with the prepared assignment? This is an excellent question I ask myself because some students really have reasons that make sense. BUT, should this be acceptable on a regular basis or at all? Again I look at each individual situation. I can see in certain people that they are struggling at some level of playing and life. Playing really is just a microcosm of the person at various levels. 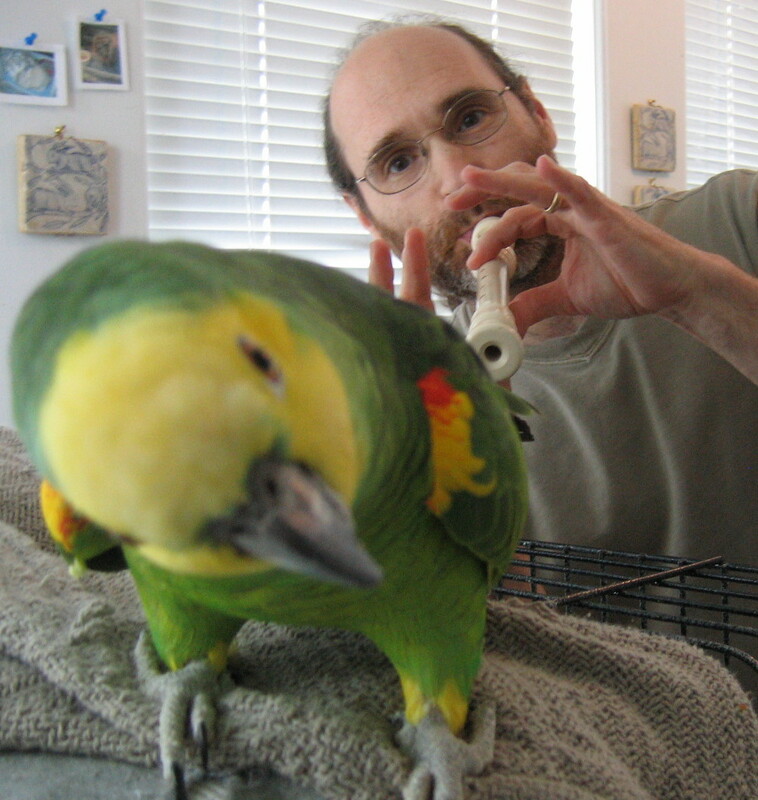 Some might need to change aspects of the embouchure. Others, the air support systems and others attitude. What can I do as a teacher to help them? I can't give them a dose of determination really, but I can try to inspire and bring out the best in them that will act as a positive force and give them hope. There are reasons for things. I know through the course of my life's studies and interests, that a person is very influenced by the environment they are in. Some students for example do play worse in front of the teacher others can play better. In the teacher's 'presence' either energizes the student who can handle more energy or it creates a barrier to some because of the higher standard the teacher comes with. This is important for teachers to understand. It is an energy related matter. Some students do start to play better as the lesson proceeds and they acclimate to the higher criteria. But will they be able to keep it up during the week on their own? That is always a big question, concern and interest of mine. I look at each student and ask myself, "Where do they put their security?" On a physical level, some really put it on the embouchure, others on a strong air flow. Some, but it is rarer, but it on their musical connection. Others are quite balanced and have a tripod of the three, chops, air and a musical concept of some kind. So the question is, how are these students practicing? What are they practicing? How do they practice what they practice and what is their threshold before they call it quits or say 'good enough!' Do they know when enough is enough? It is all part of the learning curve and process. I try to have the student be responsible for their own development knowing that I will be there to help them. The roller coster ride to gaining more command can be a tough one and even tougher for some. I am convinced that the attitude and life outlook can play a huge part in keeping one sane. Most of us have seen some version of the TV show Star Trek. I started watching it in 1965. Hmmmm... that was awhile ago, but nothing compared to the bigger sense of universal time! Anyway, I was thinking of starting a Teacher's Log with a School Date which of course is an idea coming from the Captain's Log and Star Date from the various Star Trek series. In this, my aim is to boldly write about what my thoughts are in my teaching experiences without naming names or specific circumstances, but to reflect about what my experiences are, coming from my side, the teacher's side. They will be my thoughts and it is a way to shed light on the subject of teaching. It is a form of journal writing without bringing specific names or places into it. If by some chance someone 'sees' themselves in these writings, well, it might be interesting for them! On the other hand, it is important to note that it might not be 'them.' At the same time, they might see something about themselves in it. I will try to write in general terms even though the writings will certainly be inspired from real everyday situations that arise in my teaching life. As I told a group of students the other day on the first day of school, I see each one of them as 'an ocean of possibilities.' Those are my true feelings. So from that standpoint and knowing that each student has their own unique journey, I will boldly attempt to write my thoughts down as often as I can about the actual day to day happenings in the Bolter studio. This is the last video closing off the 2011 season of the Frequency Bone Summer Music Connection 3. I hope for those of you who are interested in the vast territory of Personal Art, that these videos and contemplations will help spark more of the flame of life art that is already in you, known or yet to be discovered. In this video 11 called "Life Companion-Personal Art", I demonstrate how I apply my Personal Art into different styles of music having made them all personal to me. From that personal place, I feel there is a more potent communication that can touch on the personal life of another. Quest on, enjoy and discover! As musicians, we know that music has tempo and rhythm. From that, we can see that life itself has tempo and rhythm. Think of some popular expressions like; 'This day is really dragging' or 'The day slipped right by me' or 'The years go by so fast' or 'This homework assignment is taking forever!' These expressions point out to the quality or type of mental, emotional or physical condition we might find ourselves in in certain circumstances that give rise to how fast or slow time appears to move. I bring this up because making time for our Personal Art, can bring about a deepening of our musical endeavor which will add quality time to our life. Take the time now before it is taken from you. What did I accomplish this summer? Did I have some kind of plan to begin with? How was my time spent? What was the quality of my practice sessions? I'm sure there are many questions one could ask of oneself. I try to do it everyday. Asking myself these types of questions, keeps me in touch with myself and I try to be totally honest. The more honest and objective you can be the better. If you hit a 'sore' spot in yourself with some of these questions, feel the ache, and make a plan to find a better way to make the most of your time. It is a process and it is very easy to get out of balance. I used to practice an absurd amount of time. Some of it was a release and/or an expression of emotion.Was that practicing? Looking back, it was a great need to express and to never want to leave the music. In this way I spent a lot of time with the horn and music. I would practice, meaning working on weaknesses by repetition of exercises, studies, solos, excerpts and drills that I would make up or design to improve specific areas of my playing. I tried to touch on as many aspects of playing as I could. Now when I practice, efficiency is a very important part. I know what to target and I don't try to cover all areas of playing everyday. It depends on what I want to maintain and what is in my schedule that I have to play for. I really play everyday. I took maybe 30 hours off a few times this summer. Usually I would play well within a 24 hour period of time. I could have laid off but I really like to play everyday. Some days I spend with the horn in a more devotional way. But always the basics are addressed daily. I like having a good 'reed'! When the 'reed' is good, there is a freedom from focusing too much on the physical so the soul-spirit can soar. Good thorough preparation makes for a better lift off, flight and landing! I speak very openly in this video about my first approaches in Personal Art. The first aspect of Personal Art if you recall from the other videos, was to 'play' in various territories like tone and articulation and discover their properties. Here I talk about how I used the instrument to express any emotion that was going through me. I also talk about my mother's influence on me as a person and as a teacher. She encouraged freedom of expression and to not be afraid to have big dreams of what you want in your life. Most people that I know who wanted to be in music, felt something very personal in the music. 'It' spoke to them. Then with wanting to get a job, comes the intense work of refining our basics in a certain kind of way. Even if one just wants to get better on the instrument, it takes a lot of technical practice. Wanting control, stability and consistency, if not balanced with a musical element, can be very stifling for many people. That is why it is important to allow yourself to 'play' in the territory and to find the spectrum and freedom in the mechanical aspects. This finding the freedom will not happen right away. Each person needs to find their own way. If the passion and desire are great enough, and the person manifests this passion and desire into action, much will happen organically over time. The development of the Personal Art is a choice. Just think for a moment if some of the great painters just thought about technique only. They would not have been able to capture the essence of the subject matter and make their painting seem so 'alive'. I'm sure many students of painting and drawing get very captivated by the world's great artists and wonder how they did it and what techniques they used. That is natural to want to know how and if it is motivated by the love of art, not just for the love of art itself but what it can express, anchor and transmit, then the desire for the technique has a real purpose. 1. Allow yourself the freedom to let go of judgment and heavy standards so you can have the room to find your Personal Art. A little bit at a time. 2. 'Play' with your sound, articulation and phrasing like a child plays with something they love and can't put down. 3. Pick up your instrument and play the way you feel, mentally emotionally or physically. It could even be one note or a phrase. a) Start with trying to access your own emotions and/or experiences and put them into your music. b) Try to capture the nature of something outside yourself like a plant, animal, person or situation and play whatever comes to you about it. 5. Find important personal things in your life and play a piece that you think expresses your feelings or thoughts about it. Personal Art in it's higher form is the person being instrumental for something else to play them. This is being in service to a higher need. As my wife and partner in the Frequency Band Carol Viera says, "The most important instrument is the human instrument." You can use these thoughts if you wish, as a contemplation. Enjoy, discover and quest on! Teachers are guides to help, assist, inform, inspire, reflect, wake you up and remind you when you loose sight of what you say you want. They are not there to put their thing on you and eradicate your own unique voice and pathway. These videos are meant to be viewed one after another in one setting. They dive deeper into integrating Personal Art with daily practice. Plus, there are some insightful words about teaching and when would be a good time to bring up the topic of Personal Art to a student. As we take our beginning steps into the Personal Art, more awareness of ourselves is an excellent byproduct. For those interested ones, lets keep the ball rolling down a wonderful hill of allowance, patience and discovery! This video will offer some guidance when the resistance comes from within ourselves. START WITH WHAT YOU CAN DO BUT START! This thought 'start with what you can do but start' is a slight variation on the phrase 'start with what you can do', something people have heard me say many times. Starting can be difficult for several reasons. Sometimes we don't know where or how to start or we don't start because we want to do it 'right' and not get off on the 'wrong' foot. In the unfolding of the Personal Art, letting things happen in their own time without judgement or hard critique is essential. You need lots of ALLOWANCE to balance the RESISTANCE you might come up against. By having allowance and letting the discovery process happen, there will be a TRANSFERENCE to you from the process which will ALLOW for a new type of TRAINING to occur and RESPOND to. This will open up a vast RESOURCE of knowledge and ACTIVATE a new but latent TECHNOLOGY within yourself. Near the end of Instruction 3, I was getting into the process of 'playing' something I saw on a walk. This might be a good place to start for some people. To find something on the outside of oneself to take a 'sonic picture' of before getting inside oneself. The caution would be not to avoid getting into yourself and accessing your own experiences, thoughts and feelings. Going inside oneself and having the music come from there, will help in taking a 'personalized sonic picture' of something on the outside of ourselves. The reason is that we will be in touch with our own 'registrations' of our internal processes more and having them come out of our instrument. This is, eventually, a very important component element in opening up Personal Art. It should be getting clear that this is a huge and incredible area to be getting into! Something that can always be with you that will have lasting benefits outside of music. As my dear wife and working partner Carol says, "The most important instrument is the human instrument." It is Summer time again and I welcome you to Frequency Bone Summer Music Connection 3! I hope you had a very productive year in your music making and life as whole. This video is an introduction to what I would like to work with you all on this summer. Enjoy the video. Come with an open mind and heart. Let's go on a quest! What do you avoid practicing? This usually becomes apparent pretty quickly in most cases. Let's face it, it can be more fun and immediately more satisfying to practice things we are good at. But, is it serving to improve our ability on the instrument and musical expression? Is it helping us to develop discipline? We are all prone to doing certain things better than other things. But depending on our goals and aspirations, avoiding aspects that need work will limit us as players, musicians and people too. It is not always easy to confront the difficulties but the rewards on many levels can be huge. It certainly will make us better teachers as well having gone through processes that are not naturally easy for us. Because we will have had to find our way through trial and error to make it happen. This brings appreciation and understanding about the nature of hard work and development. Even if we never develop our difficult areas as fully as other aspects of our playing, working on them broadens our awareness of the craft and strengthens other areas that are related or that seem to not be related to what we are working on. It has been my experience that working on one area has a multi- level result throughout our systems. We can't have growth and progress without hard work and the love and desire to keep at it. What are your favorite things to practice? Why? This is a very telling question to ask yourself. In this seemingly small question, much can be discovered about why you do what you do. Spend some time with it. Ask it to yourself nonstop for at least a week or two. See what answers you get.